The Dimensions feature allows you to set accurate dimensions for your inventory. Most other e-commerce platforms only allow you to calculate shipping based on the weight of the package. However, shipping companies factor dimensions along with weight. The option to add dimensions to the package weight results in a precise shipping charge. 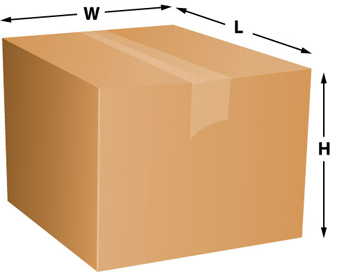 Factoring a package’s dimension along with its weight is especially important when shipping over-sized or oddly shaped items. Using the Dimensions feature is not mandatory. If the items in your E-Commerce Store have easily calculated shipping costs, you can choose not to use this feature. This is true for all of the Advanced Shipping Manager’s features. Another option for uniquely sized items is the Box Size Point System feature. It is an alternative to dimensional shipping that assigns point values to box sizes and items that you carry in your E-Commerce Store.